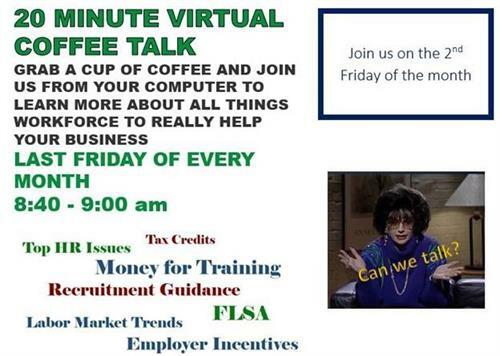 Employers in St. Tammany Parish are invited to join the free 20-minute Virtual Coffee Talk workforce webinar every second Friday of the month. Hosted by the Louisiana Workforce Commission. EACH MONTH WE DISCUSS A NEW TOPIC THAT WILL MAKE YOUR BUSINESS MORE EFFEICIENT AND PRODUCTIVE! Virtual Coffee Talk, call in from the comfort of your office!